*ID is required. To take advantage of this savings please Email Me directly at multiholsters@yahoo.com with a ID that verifies your duty of service and I will provide you with the promo code. Only ONE Discount Coupon or Discount Promotion is allowed per order. We currently accept PayPal as our payment option. You do not need a PayPal account to purchase products from Multi Holsters as PayPal will accept your Master Card, Visa, American Express or Discover without having a PayPal account. Simply proceed to the shopping cart, enter your information as required, and you will be directed to PayPal’s secure web site to process your card. 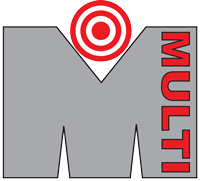 MultiHolsters.com reserves the right to change its payment procedures at any time without prior notice to you.